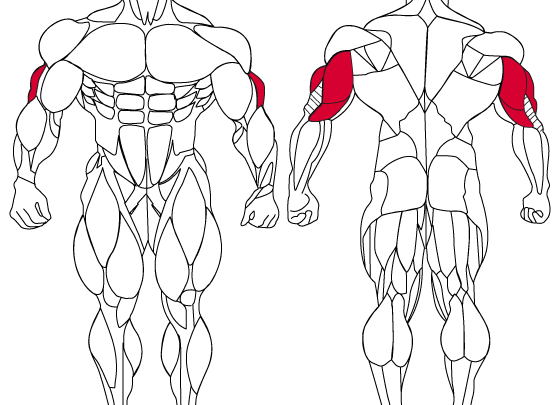 The Tricep is made up of three muscles. Yea I know surprisingly not a lot of people know this. If these muscles are developed correctly you should have a nice horseshoe. Whats a horse shoe you ask? 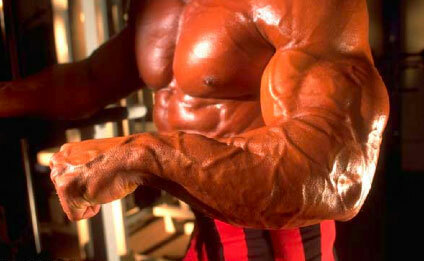 It’s another term thrown around in the fitness world because a well developed tricep actually looks like a horseshoe. Reverse-Grip Bench PressFirmly grip the bar so it doesn’t roll out of your hands. Cable PressdownsSqueeze your triceps at the top of the movement for maximum stimulation and growth. SkullcrushersMaintain good form and control — just don’t crush your skull. To lose 15 pounds in two months, you would need to ditch about 875 calories per day. The first impulse for most while attempting to add size after a prolonged diet or even during their first “bulking” experience is to immediately eat all the bad foods they can to add both quick size while also satisfying their hunger and junk food craves. 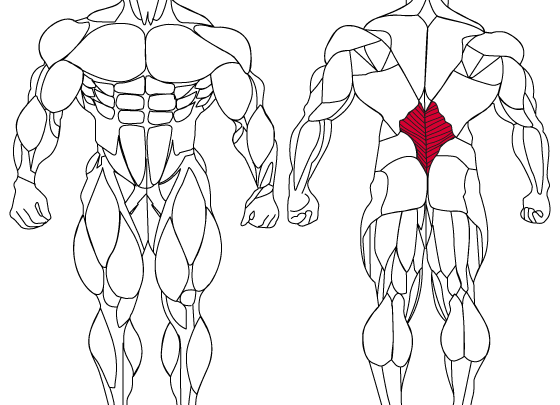 This is not the best route to get the desired end result of strong lean muscles. Bulking up and adding extra muscle with minimal fat is the byproduct of increasing your training volume and your calories. Healthy bulking is all about eating an excess of the right quality foods that will minimize fat gain, maximize muscle growth, while keeping your joints, heart, and metabolism functioning in tip top shape. Here are 6 foods that will help you to accomplish a healthy bulk without the guilt. Comparisons to other meat sources have also shown that bison has a greater concentration of iron as well as the essential fatty acids. 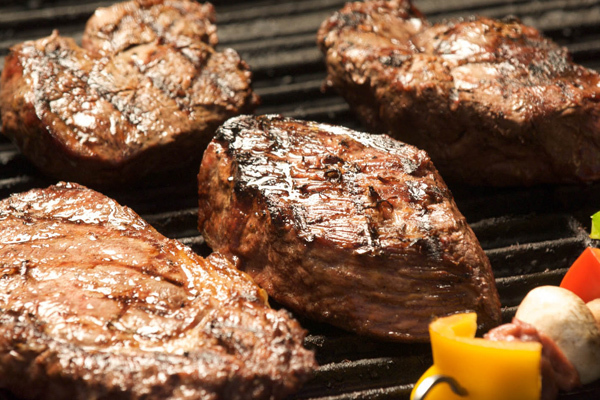 Bison has fewer calories and less cholesterol than chicken or fish, 76% less fat than beef, and 68% less fat than chicken, so you get more edible meat for your money. Bison also has 35% more protein than beef, so you can eat 1/3 less and still walk away satisfied. Bison is also a natural source of creatine and one of the best sources of stearic acid, which is a unique saturated fat that has no impact on your cholesterol level. Bison can also be used interchangeably with beef in most recipes. Protein is important for muscle growth and recovery, which is essential for bodybuilders. Salmon offers nearly the same amounts of protein as beef, chicken and pork. Salmon is low in unhealthy saturated fats, which contribute to high cholesterol, but is rich in omega-3 fatty acids. These healthy fats offer a bounty of benefits, ranging from skin and joint health to combating heart disease. The omega-3 fats found in salmon will help fight inflammation and keep your joints pain free as your training volume increases. Salmon is also rich in some of the essential minerals like iron, calcium, selenium and phosphorus and vitamins like A, B and D. Selenium, which is very necessary for building up of tissues. Quinoa has higher protein content than wheat, barley, or other major grains. One cup of quinoa has 9 grams, which trumps the protein-rich egg (6 grams). Quinoa, which contains all 8 of the essential amino acids, is a complete protein. Its heart-healthy polyunsaturated fats will leave you feeling full while providing more nutritional content than breads or cereals made of refined grains. Quinoa has a higher than usual protein content for a grain and one serving also packs 33% of your daily zinc needs, a nutrient essential for optimal testosterone. Getting ample starchy carbohydrates first thing in the morning and in the 3-4 hours following your training session is an essential strategy for getting the calories you need and putting those calories to work building muscle instead of having them add to your waistline. This muscle building food is very nutritious. Oats contain low fat and high fiber content. Oats are a good source of magnesium, selenium, manganese and phosphorous. Oats are a good source of vitamin B1 and dietary fiber which is useful in lowering your blood sugar. Since oats provide carbohydrates slowly, they are perfect for muscle building. The continuous provision of energy during the day through rolled oats intake ensures optimum levels of blood sugar. Oats are also high in iron and are a good source of low-fat protein. The protein in oats is almost equivalent to the quality of soy protein, and combined with the dietary fiber, makes it the ideal food to start the day with. Chia seeds are about 20% protein. They are digested and absorbed very easily. This results in rapid transport to the tissue and utilization by the cells. This efficient assimilation makes the Chia very effective when rapid development of tissue takes place, primarily during periods of growth. 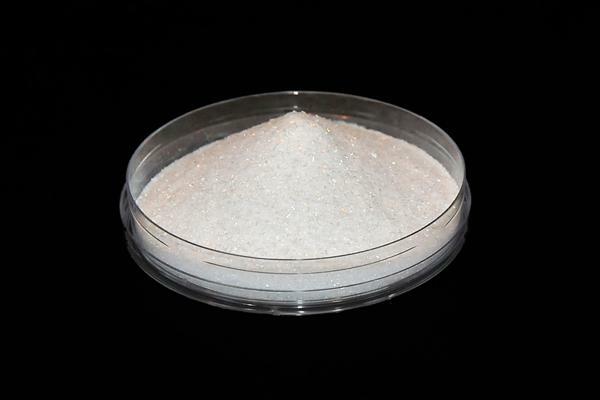 This would also include regeneration of muscle tissue for conditioning, athletes, weight lifters, etc. Chia seeds are the richest plant source of Omega-3; they have more Omega-3 fatty acids than any other plant food, (the vital fats that protect against inflammation—such as arthritis—and heart disease). In fact, they contain more Omega-3 than salmon. It has approximately three to ten times the oil concentrations of most grains and one and a half to two times the protein concentrations of other grains. These oils, unsaturated fatty acids, are the essential oils your body needs to help emulsify and absorb the fat soluble vitamins: A, D, E, & K.
The avocado’s high nutrient density makes it an ideal ingredient for bodybuilders on a closely monitored diet. It contains more than twice the calories per gram than protein or carbohydrates making it easier for you to hit your higher than normal calorie targets. Your body also creates hormones and other important signaling molecules essential for muscle growth and good health from fats. Avocados contain high levels of monounsaturated fats which can prevent the redistribution body fat towards your abs. This will help you keep your midsection tight while your get bigger. Avocados are also a great way to get extra fiber in your diet without filling you up. Half an avocado has 160 calories, 15 grams of heart-healthy unsaturated fat, and only 2 grams saturated fat. Posted byadmin 14. May 2013 1. January 2015 Posted inFitness Infos, Fitness Myths, Fitness Secrets, UncategorizedTags: Bulking, eating, Healthy, Sixpack2 Comments on Healthy Bulky: 6 foods to help gain mass without the guilt. Posted byadmin 14. May 2013 1. January 2015 Posted inFitness Infos, Fitness Myths, Fitness Nutrition, UncategorizedTags: eating, Healthy, Nutrition, WheyLeave a comment on Late Night Snack? It is important to cycle the amount of calories you eat throughout the week in order to stimulate fat burning. 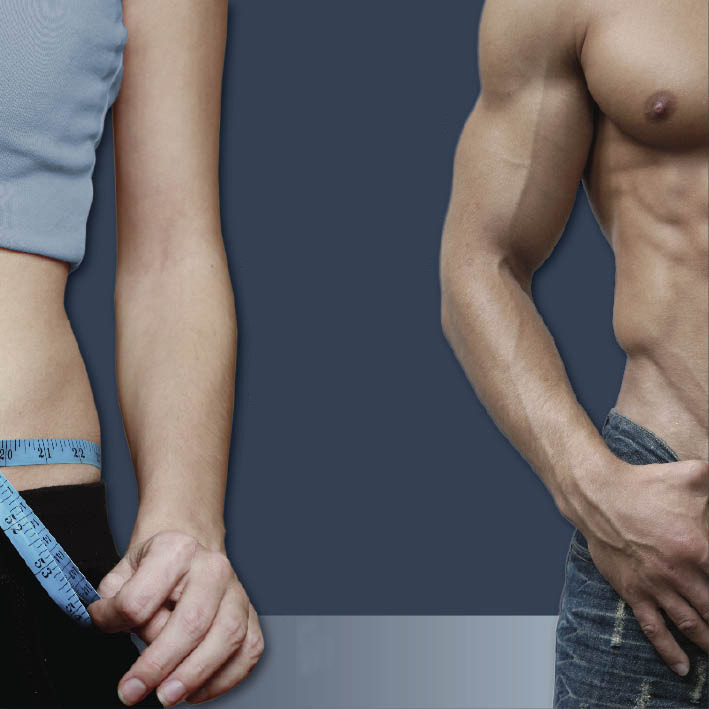 If you consume too few calories for too long, your body will adapt and decrease its metabolic rate. Therefore, it is best to have at least one day a week where you ramp up your caloric intake to prevent your body from going into a preservation mode. Protein is one of the three major, or macro, nutrients. Unlike carbohydrates and fats (the other two types of macronutrents), proteins are comprised of nitrogen-containing groups called amino acids. There are about 20 different types of amino acids commonly found in foods. All of them are important for building and maintaining muscle, but 8 are vital. These are what’s known as the Essential Amino Acids (EAAs). Contrary to what most athletes believe, there is no actual requirement for protein; the body simply has a requirement for the eight essentials. The EAAs cannot be synthesized in any of your tissues, so they must be obtained through high protein foods. Lean meats, fish, poultry, eggs, milk, cheese, and soybeans are good food sources of protein. 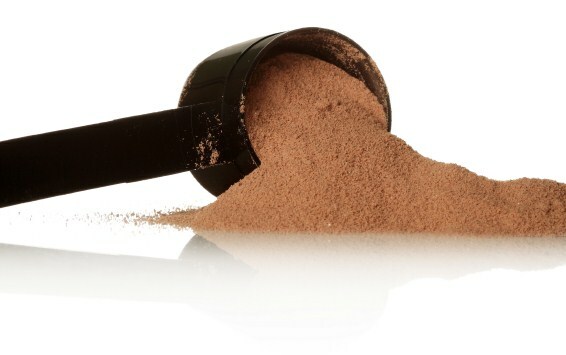 Powdered whey, casein, egg, and soy proteins offer the same amino acids as whole food sources in more concentrated doses – with lower levels of calories, fat, carbs, cholesterol, and other non-protein ingredients. Currently the undisputed king of proteins. Here’s why: whey proteins are quickly and easily digested (hence the “fast-acting” description that they’re often given), they are loaded with essential amino acids (EAAs) – including the three branched chain amino acids (BCAAs), and they contain subcomponents (microfractions) that appear to provide benefits above and beyond amino acids and elemental nitrogen. Whey is one of two major dairy proteins and accounts for about 20% of the protein in milk. Comprising 80% of the protein in milk, casein is the dominant dairy protein. Oft referred to as a “slower-acting” or “time-released” protein, because they are digested and absorbed much more slowly than whey or soy proteins. 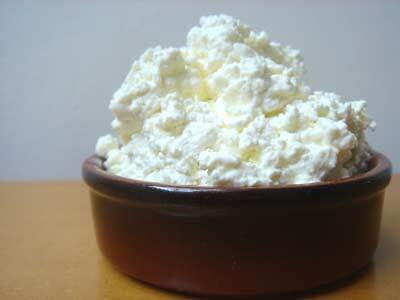 Casein proteins are especially useful when taken at bedtime and during other prolonged periods without eating. Milk proteins are pretty much what you’d expect: dried milk with most of the fat and carbohydrate removed. Like liquid moo juice, powdered milk proteins are about 20% whey protein and 80% casein protein, so utilization is somewhere in between the two. Ask any dietitian, “What’s the best source of protein?” and eggs will probably top the list. In fact, most nutrition textbooks still refer to eggs as the “gold standard” for protein quality. With loads of essential amino acids (EAAs) and some of the highest scores in all measures of protein quality, we’re not going to argue. Naturally dairy-free, eggs are a great alternative to whey, casein, and whole milk proteins for those with milk allergies or severe lactose intolerance. Vegetarian? Don’t do well with dairy or egg? Go green. Like their animal counterparts, soy proteins contain all of the required amino acids in sufficient amounts to support muscle growth and development. If you can only afford one type of protein, this is probably the type that you should go with. Combining faster-, intermediate-, and slower-protein sources in one convenient place, blended proteins give you more sustained protein digestion than single-source proteins like whey, casein, egg, or soy.